What is the Healthcare Industry? An organization or business either non-profit organization or profit-oriented public or private organization that render asset and facility management services to the healthcare industry which includes medical wards, sickness bays, healthcare facilities, hospital premises, medical equipment, pharmaceuticals/medicine storage areas, medical litters/used medical kits, etc. whilst providing a safe and hygienic environment to users such as nurses, doctors, outpatients, inpatients, staff, visitors and others is called a facility management services provider to the healthcare industry. Examples of such healthcare industry include central hospitals, retirement homes, nurseries and child care centres, palliative cares, abortion clinics, rehabilitation centres and residential cares and others. According to the United Nations Population statistics, from the year 2015 till 2050 the population of elderly aged above 60 years will substantially increase in Asian countries. Majority of elders face mental illness, chronic disease, injury and disability. Thus, there are more elderly people need health care services while the healthcare sector face pressures to provide quality care service, high technology healthcare equipment and cater new type of consumer preferences. The higher is the population of elderly people, the more health-care needs, locations and space are required. As elders increasingly ageing, they face decreasing financial resources and deteriorating health which become the main problems that eventually affect their quality of life and longevity. Health care offers a variety of treatment selections, health facilities, prescription drugs and health plans. The consumer trend is currently shifting into a more localised community-based medical care centres; they are in fact micro-hospitals with small-scale but sufficient inpatient facilities and emergency-mode clinics. They prefer the best treatments in local community health care facilities that are available in remote places rather than solely in large hospitals in big cities. The construction costs of outpatient care-centres are less costly and expensive compared to large upscale hospitals in big towns and cities because they are simpler to construct and construction materials are easily available in the suburban areas and easier to transport in terms of logistics. The health industry gains more revenue from outpatients rather than from inpatient facilities. Some outpatient healthcare facilities can focus on specific illness, which allows saving time, medical budget and reducing the spread of infection. Most millennials generation patients demand smaller care facilities, conveniently located and quicker to reach with no traffic jams. Millennials have increasingly become parents and the healthcare sector finds that it is a huge potential to develop a relationship with the parents because they are bringing more children or babies as long term customer loyalty. Facilities management can help to coordinate patients’ room data, medical facilities, building equipment, security, cleanliness and maintenance. The healthcare industry top priority is to deliver the best care service, ensure safety and hygiene for patients. For example, with an automated technology metrics, it allows the employees or the facilities manager to receive real-time alerts, customer feedbacks, electrical energy consumption and other information through smartphones. Emergency lighting in facilities management preventive maintenance is very important to ensure that all the emergency light to check the functionality on a monthly basis. Replacement of such energy light should be done whenever there is faulty of light bulbs in healthcare. Emergency lighting in facilities management preventive maintenance is very important to ensure that all the emergency lights are to be checked on its functionality on a regular basis. They should be ensured to be in working order at all times. Replacements of such energy lights should be undertaken whenever there are faulty light bulbs or whenever their life cycles indicated that they are required to be replaced. One of the facilities management’s objectives is to avoid spreading of bacteria or viruses in the hospital building that affects patients and hospital staff well-being. For instance, the medical centre management needs to ensure that employees are trained using UV lights when required and safeguarding the UV lightroom to operate patients. The medical facilities managers will regularly check on operating rooms and keep track of whether the rooms or equipment tools were disinfected at all times. Healthy people can be easily contaminated with germs, bacteria and virus from infectious diseases which are easily contaminated in the hospital building especially to a less resistance immune system patients or employee workers, seniors and newborn babies. Thus, proper anti-septic cleaning maintenance services could remove the microorganisms in the air coming from the wardrooms. Installing a good ventilation system and frequent change of the filters will prevent airborne diseases in the air from spreading and also helps to clean the purified air from dust and other microorganisms. At Atalian Global Services offer bio cleaning which the combination of cleaning, utilization of disinfection and remove waste or contaminated item in order to decrease the biological contamination. The hospital care centres shall be free from encumbrances and liabilities especially from legal suits from the third party. They are liable to paying hefty compensations for any acts of negligence on injured patients during treatment. Any negligent actions caused by hospital employees, doctors, nurses and the facilities management during the treatment of patients will be subjected to legal liabilities and claims. For example, emergency lights should not be dysfunctional especially in operation theatre rooms during operation procedures with the patients. The purpose of the emergency lights is to supply electrical power should the normal electric power are cut off. If the doctor accidentally performs a surgical error and carelessly operates the patient due to the dysfunctional operation lights, then the patient’s family can claim against the hospital for the patient’s death, injuries or permanent losses. 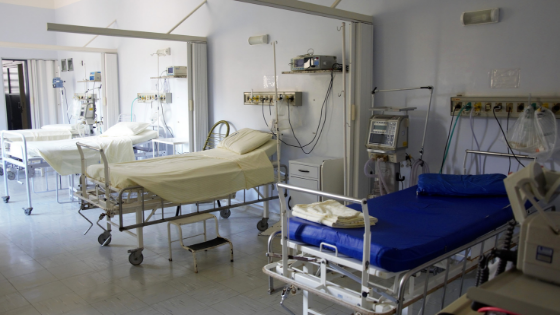 Commonly, most victims demand compensation in legal cases against medical errors which can arise from non-functionality of the hospital equipment. Therefore, the facilities management should ensure that all medical facility and assets are properly maintained and comprehensively serviced by a professional team to prevent such lawsuits. A well-maintained medical centre regularly improves communications, patients’ safety care, building maintenance and eventually in the long term, the hospital business will minimise the risks of legal costs and cases filed by the mistreated patients’ lawyers which then able to generate revenues for the healthcare industry and saves lives of many people, instead. Finally, we at the Atalian Global Services offer the best professional facilities management to all medical assets and facilities so that they are operating at optimum levels at all times. We also comprehensively maintain hygienic cleanliness while ensuring a healthy environment for patients, staff and others. Do contact us today; we provide alternative solutions to facilitate the healthcare industry with no more worries from you!